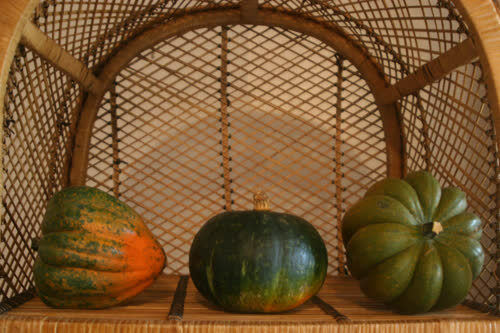 Where in Toronto can one buy any kind of heirloom winter squash; for example, a Blue Hubbard, Moranga, or Australian Blue pumpkin? 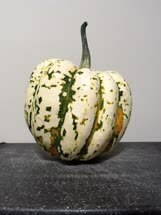 If you don't know what that is, let me ask you this: Have you seen any hard-skinned squash in an unusual color or shape and can't identify it? That is what we are looking for. 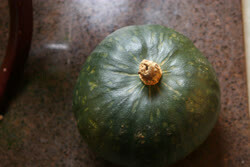 Please suggest supermarkets, grocery stores, big box, corner stores where you have seen a squash. Posting a photo of the fruit and tagging the name of the store (and location) is the fastest way to do this. Best selection: The store was in Kensington (Kensington Ave & St Andrew St). 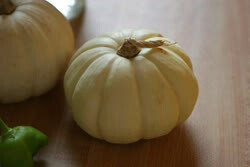 There was ambercup, delicata, butterkin, a sweet meat type and more. 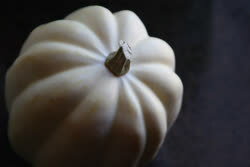 Squash were offered cut into quarter pieces priced $0.50 - $1, or as whole squash. 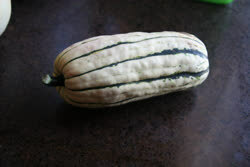 These varieties were small, 1-3 lbs. 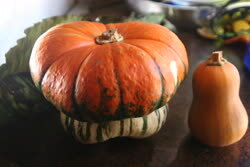 There was a long neck butternut and kabocha that were larger (4-5 lbs). Biggest pumpkin: Corner of Baldwin & Kensington. 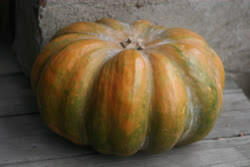 Huge fairytale pumpkins 15-30 lbs for around $0.80 / lb. 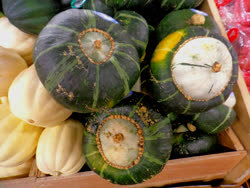 This store also sold common squash in small sizes: spaghetti, buttercup. 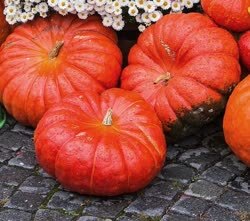 At most stores, Musquee de Provence (fairytale) pumpkin was found cut into pieces for sale. Best deal: Lucky Moose mart on Dundas & Beverley. Butternut going for $0.49 / lb, buttercup for $0.79 / lb. 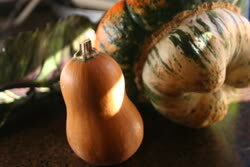 Mostly 4 lbs squashes. Some large buttercup on reduced sale cut open for $1.50 each. 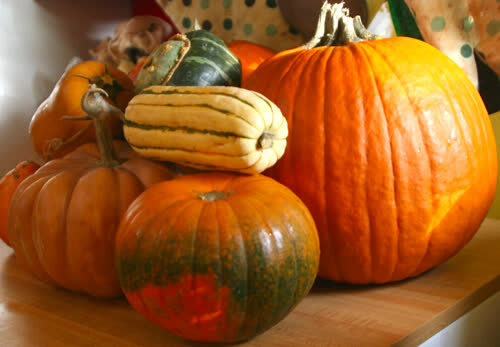 November 6: Freshco - acorn for $0.19/lb and buttercup for $0.25/lb.